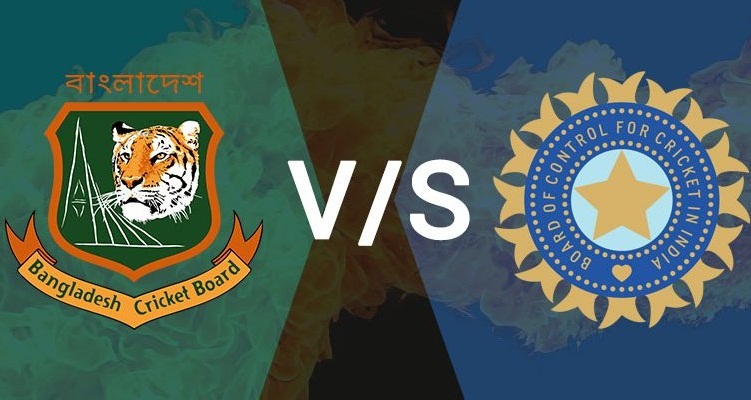 India has won the toss and eelected to bowl first against Bangladesh in the Asia Cup Super Four round match on Friday. The match kicks off at 5.30pm (BST) at Dubai International Cricket Stadium, in the United Arab Emirates (UAE). Mushfiqur Rahim and Mustafizur Rahman have come in as Mominul Haque and Abu Hider have been dropped from Bangladesh's last eleven, which played against Afghanistan in Abu Dhabi on Thursday. There is one change in the Indian eleven as Ravindra Jadeja replaced injured Hardik Pandya, who played in the eleven for an eight-wicket win against Pakistan in Dubai on Wednesday. In group B, Bangladesh beat Sri Lanka by 137 runs while Afghanistan thrashed Sri Lanka by 91 runs. Bangladesh lost against Afghanistan in the last group stage match by 136 runs yesterday.